Hi everyone, I hope you all had a fab weekend! I'm sure many of know that I'm as blind as a bat, and have to wear glasses daily to see the majority of things (computer, tv, bus numbers etc). I've had terrible eyesight since childhood, due to an unfortunate accident and dodgy-sight genes. I crawled into a cigarette someone was holding when I was a toddler. My left eye is permanently damaged due to the accident, so my sight in that eye is even worse than the other eye, even though I wore a patch for a huge chunk of my early years! 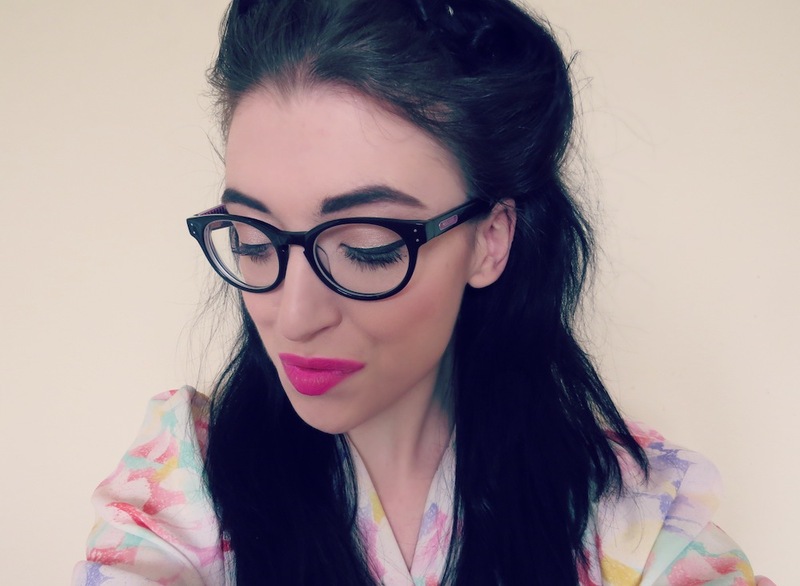 I started wearing prescription glasses when I was around 15, and ever since I've had to attend eye tests in Specsavers and renew my prescription and frames annually. I attempted to try contact lenses last year, but my body has an inbuilt defensive mechanism that won't allow anything or anyone near my eyes, because of the cigarette incident (I can't even use lash curlers)! My contact lenses attempt was a massive fail, and won't ever be an option for me unfortunately. My eye sight is still changing, but less and less every year. 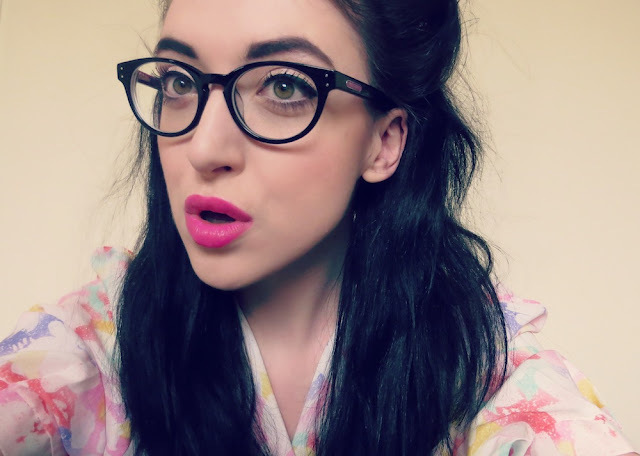 I was contacted by the PR company that work with Specsavers, and I was offered a complimentary eye test and pair of glasses of my choice to review. Of course, I jumped at the chance - it was perfect timing, as I was due an eye test and stronger lenses anyway. I attended an eye test on Friday, in Specsavers on Grafton Street - the opticians I've gone to since I was around 5/6. I'm well used to it all at this stage; the staff are extremely friendly and the appointments fly by. The glasses usually take one or two days for the opticians to add your required lenses to the frames and match them to your measurements. 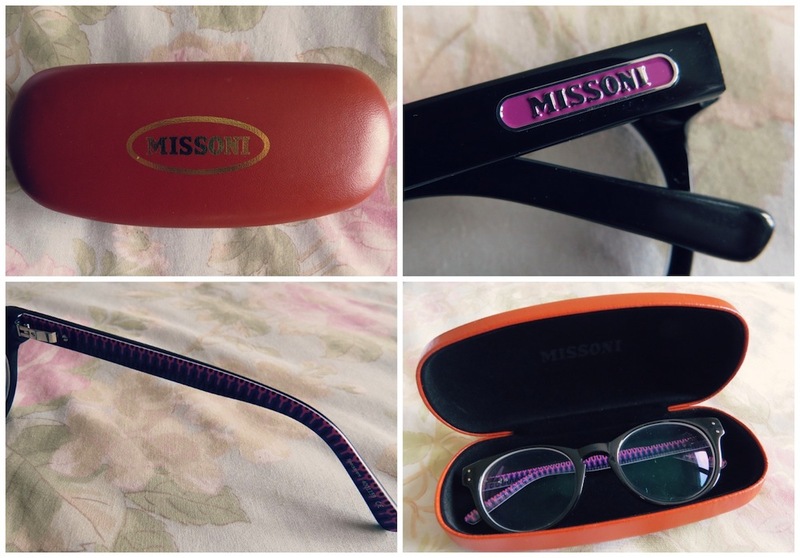 I chose new Missoni frames* from the store, that were €189. This pair caught my eye immediately, as they're quite 1950's-inspired yet still modern with detailing on the inside of the frames. I believe glasses are something you can spend an extra few bob on without feeling guilty; I wear mine daily, I like feeling confident wearing my specs and enjoy wearing them as an accessory with my outfits. 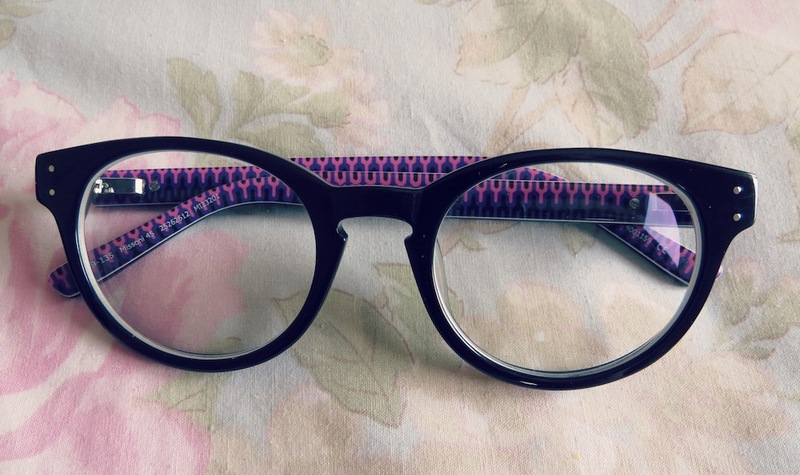 Today was my first day wearing the Missoni frames properly and I'm absolutely thrilled! They suit my style and face shape, and are definitely a pair I won't be embarrassed wearing out. My outfit today consisted of a vintage blouse* from 9 Crow Street, American Apparel Disco Pants and this wonderful mermaid necklace* from I Love Crafty. Isn't she sweet? 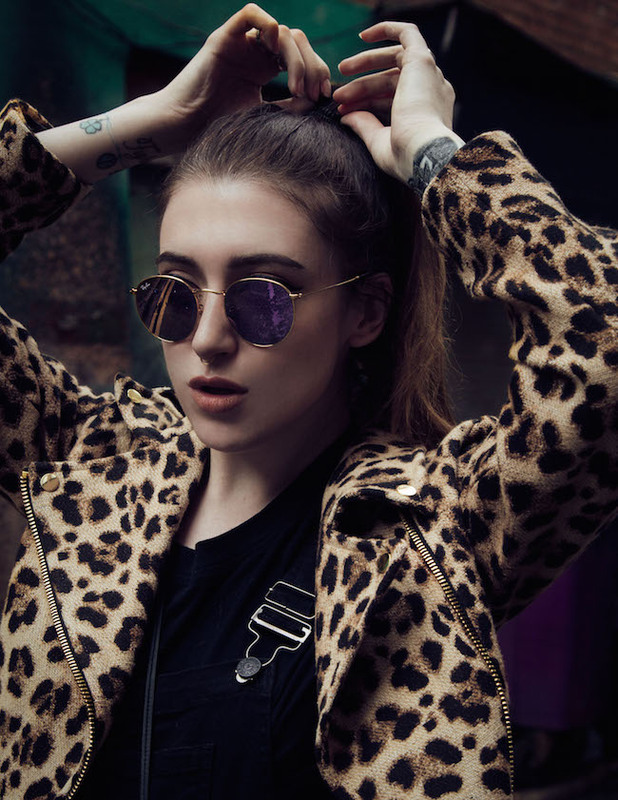 ILC have a range of handmade jewellery on their site - their collections range from I'm Really A Mermaid, Modern Romance and Feline Fatale. 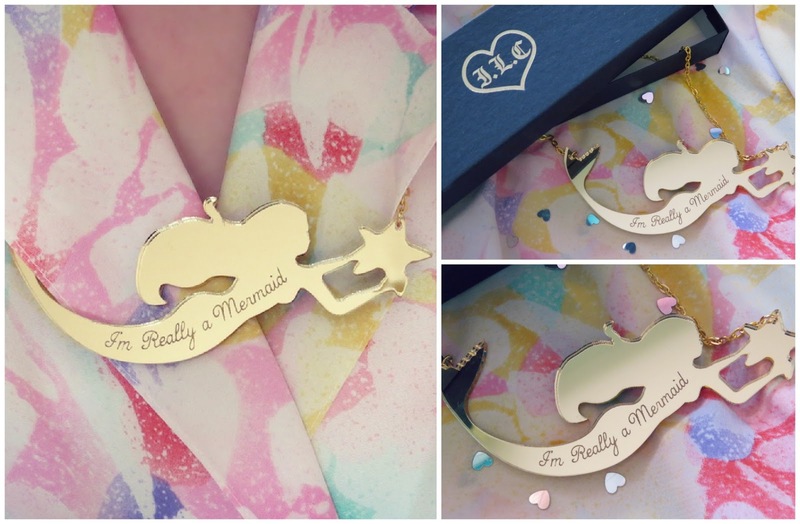 For £20, the necklace is a unique and beautiful gift for yourself or someone special.